At 2015 Shanghai Auto Show, Honda revealed a brand new design study christened as the Concept D and it gave glimpses of a mid-size crossover. With the production-version of the Concept D having had huge potential in becoming a global model, it was later said to carry a moniker known as UR-V – following the lines of CR-V and the BR-V.
Honda and its Chinese partner Dongfeng appeared to be taking advantage of the growing popularity for crossover in China – one of the largest markets in the world for utility vehicles. The China-specific model is expected to be based on the Avancier which was launched last October with design taken from Concept D.
The Concept D had too much styling elements at front which rather made it a child’s play than being futuristic. It comprised of bronze-gold grille, huge air dams, LED headlamps, sloped roofline, bumper integrated LED Daytime Running Lights, etc. It had 21-inch alloys wheels wrapped around by 285/45 tyres with flashy and sharp cuts and creases. The captivating features were the camera replacing traditional wing mirrors, recessed door handles, C-shaped LED taillights, sporty roof-mounted spoiler, detailed front and rear bumpers. 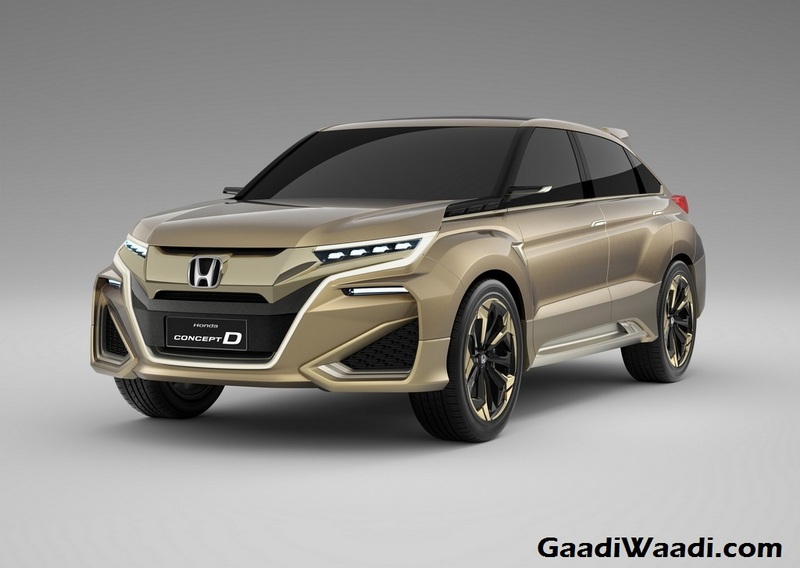 The flagship UR-V crossover will be positioned above the CR-V and it is a less exaggerated version of the concept itself with better styling than the Avancier. As for the mechanicals, it is reported to have two powertrains like the Avancier: a 2.0 turbo with 272 hp and 370 Nm, mated to a ZF 9-speed automatic and codenamed K20C3 while a 1.5 turbo with 180 hp and 240 Nm will have a ‘240’ badge on the back. 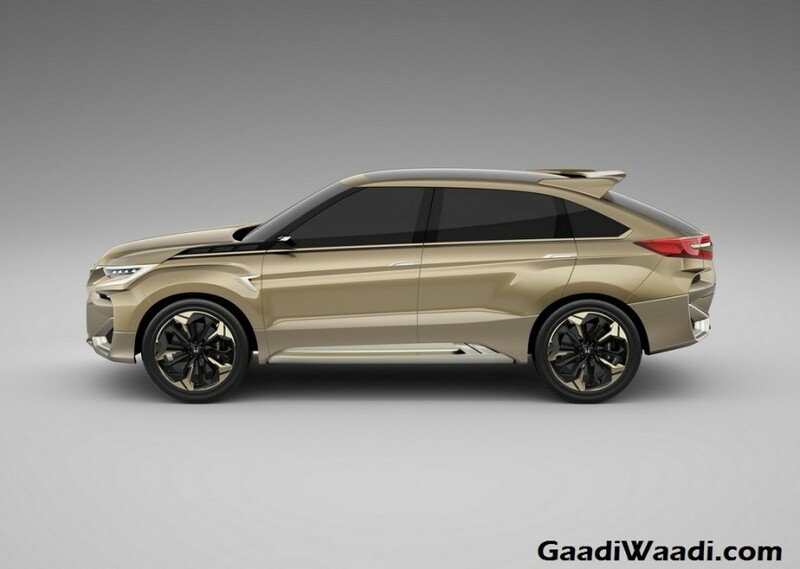 The seven-seater UR-V will be significantly bigger than the CR-V with a three-row arrangement but proportionally similar to the Avancier it is largely based on. 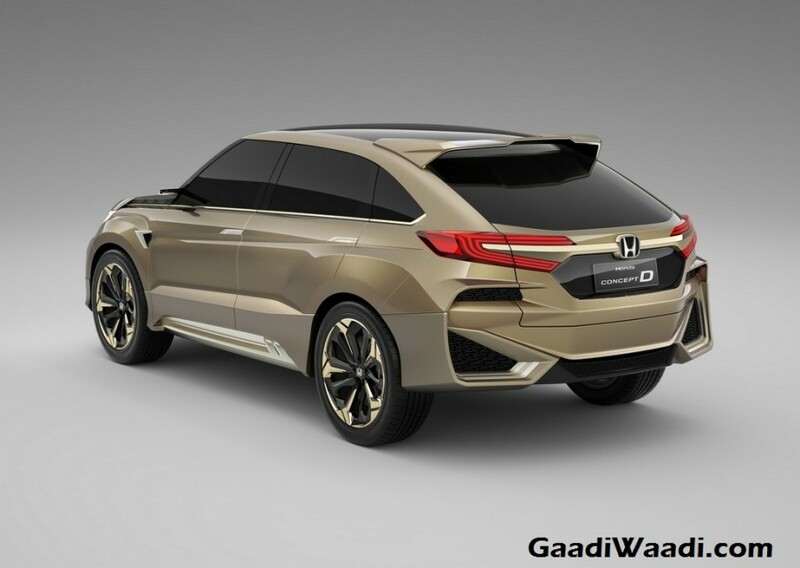 Honda will be looking to exploit the untapped potential in the Chinese mid-size crossover segment with the UR-V.